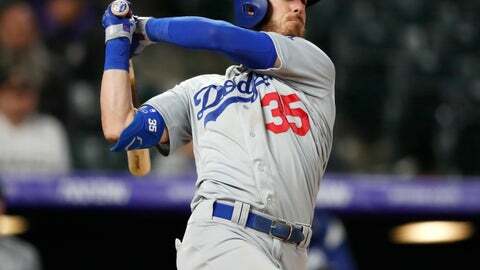 DENVER (AP) — Cody Bellinger has been doing plenty of damage with his bat. He showed his defense is pretty good, too. Bellinger capped a big weekend with a line drive to the second deck in right field. His seven home runs are more than five teams have hit this season — including the Rockies.